In recent years, digital signage has been becoming a popular way for businesses to display important information, and rightfully so. Human beings prefer images and sights that are attractive to the eye, desires which have led to increasingly attractive signs throughout history. So how do digital displays differ from traditional signs? Digital displays offer flexibility and visual appeal so businesses can show what they want, when they want and how they want. Digital displays offer more options than traditional signage. Not only can they be touchscreen and include video, but they can be continually updated to reflect new information, timely events and consumer demands. This allows more options for signage which can be changed and updated to suit the ever-changing needs of your business. These displays can be used indoors at kiosks of locations with a lot of foot traffic, or outside your business to provide information to passerby. A common example of outdoor placement is at restaurants that place digital menus outside for customers to read while they wait or consider options. We live in an age where graphic design is at its best, and where video reigns supreme as one of our favorite forms of entertainment. Digital displays can implement the best elements of graphic design to give your information a strong visual appeal, while also offering video for customers to watch and interact with as they take in the sign’s information. When it comes to signage, strong visuals are everything. Implementing a digital display will give you a sign solution that is maximizing for captivating graphic design and attractive visuals that create an experience that a customer won’t forget anytime soon. Digital displays are a smart sign solution to fit with the changing preferences of consumers who are preferring visually-oriented digital content over traditional text and design. 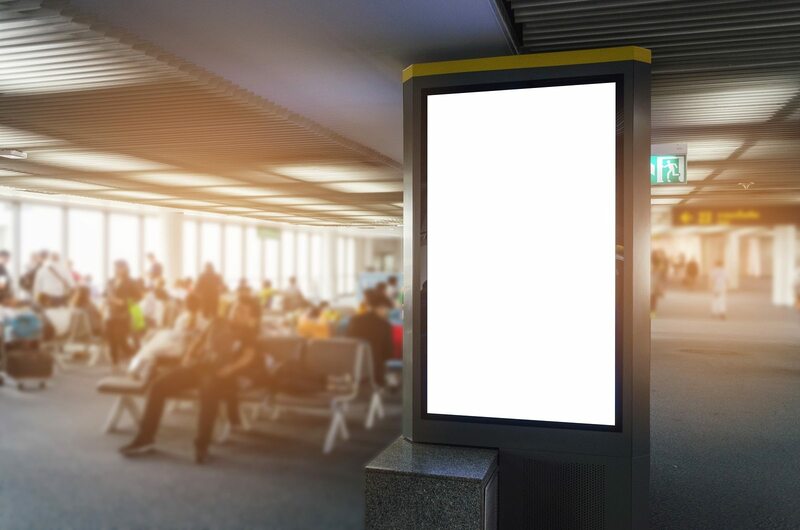 If you’re looking for an interactive option for a kiosk, an editable, attractive menu for customers, or another solution to give customers a unique experience at your business, a digital display is an option worth considering that will greatly enhance the image of your company.